Happy Easter everyone! It´s springtime and finally Berlin is nice and sunny. Too bad I have to stay in all the time to work but I´m not complaining. It did not leave too much time to work on this blog though and I hope I´ll do better this month. So far it doesn´t look like it. Found this 45 in a record store for 1 Euro a couple of weeks ago. It´s a little embarrassing but the fact that I bought it tells a lot about me. Apart from the much saner image that I might have of myself, I really do seem to be one of those “completist” collectors. I would buy any record Bernhard Frank made, even if it was really, really bad. And this is bad. Oh man, Bernhard Frank, what did you think?!! This is a long way from his cool stuff. Then again I really like this record too. Non-German speaking people might miss some of the meaning, but there are some pretty funny lines in Eingeladen (Invited to the party of Dieter and Susi). 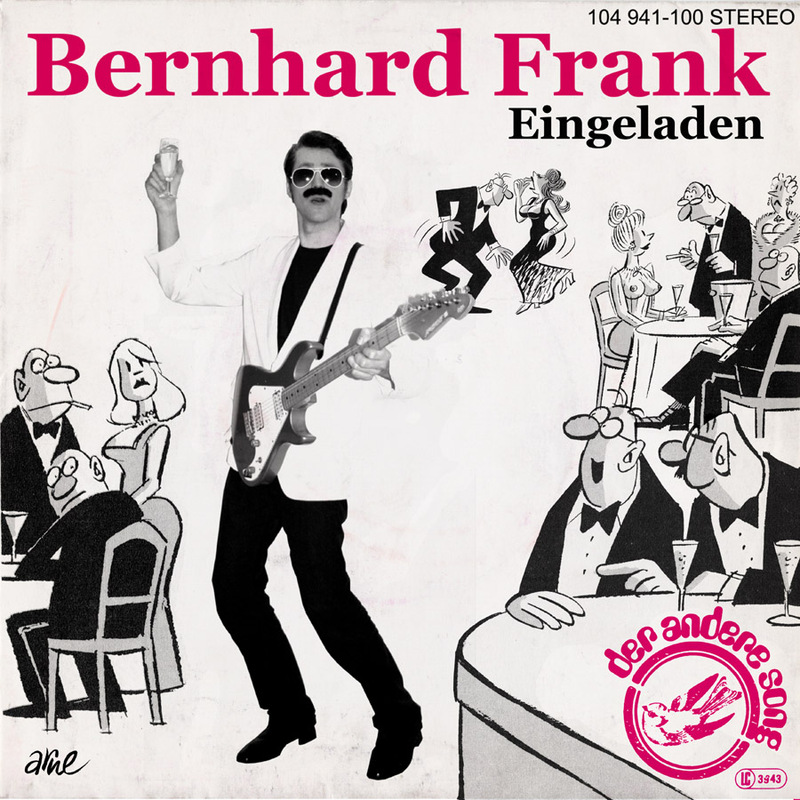 The b-side Mit anderen Worten ( In other words) is pretty standard German Schlager fare but I still feel that Bernhard Frank can do no wrong. Bernhard Frank only wrote good songs, even if they were bad. The local Berlin Hansa label was founded in 1964 by Christian Bruhn and the sons of Will Meisel Thomas and Peter Meisel. 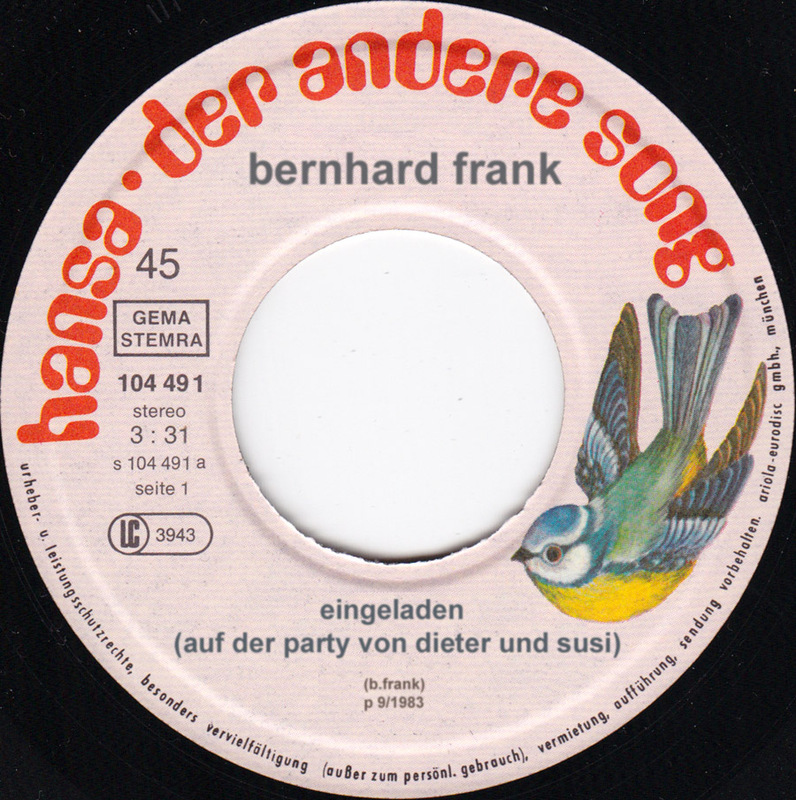 In 1973 they started a sub-label to promote artists and music that were a little more off-the-beaten-path than their mainstream material: der andere song (The other song). The sleeve was designed by popular cartoonist Arne (Arne Leihberg, 1912- 1988), longtime contributer to the biggest Berlin newspaper. Boah ey..! Das is so schlimm und “eklich”, aber es ist ‘n riesen Spaß es zu hören..
Weiter so Andi.. Wie läuft die LocationSuche? Wir haben leider noch keinen neuen Ort für Auktion/Destruktion gefunden. Aber wir suchen weiter.